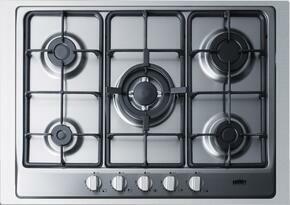 Gas cooktops have been the favorable choice when it comes to flexible cooking techniques. Their open flame can reach scorching hot temperatures needed for searing, while also providing a low heat to delicately melt butter. 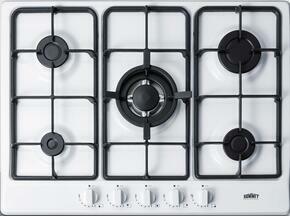 Many of these gas stove tops can be installed using your home's natural gas line, along with a few liquid propane types. 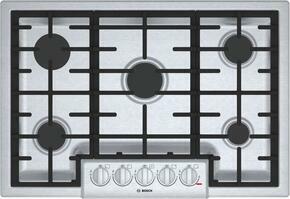 Find a gas cooktop that accommodates your practical needs and kitchen layout. They start from a compact 12 inches up to a larger 71 inches in width. 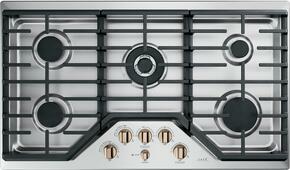 They can have up to 10 burners, which can include open burners, sealed burners, and dual stacked burners. 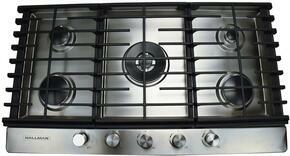 Some stove tops also feature a grill, griddle, and/or French top that will having you cooking like a restaurant chef. 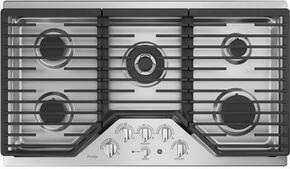 Pro-style rangetops have turn-dial knobs positioned on the front for easy temperature adjustments and a maximized surface area. 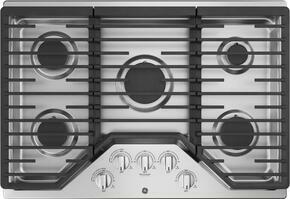 Select models are even easily accessible by virtually everyone, as they are ADA compliant. 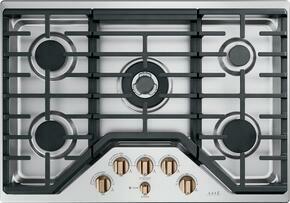 Preparing an ambitious menu for a lavish dinner couldn't be much easier. 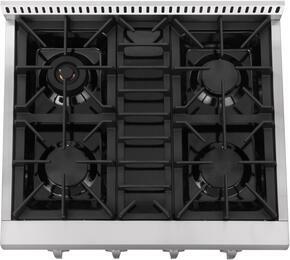 A few gas cooktops can be installed over a single wall oven, allowing you to transfer skillets from the stove into an oven compartment to finish off. Continuous cast-iron grates create a leveled surface for heavy Dutch ovens and makes it effortless to slide them from one burner to the next. 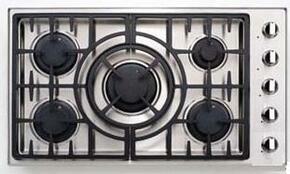 Some grates are dishwasher-safe, so you won't have to wash them by hand during aftermath clean-ups. 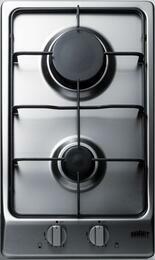 The keep warm zone is a low temperature burner which ensures complementary sides stay hot until they're ready to serve. 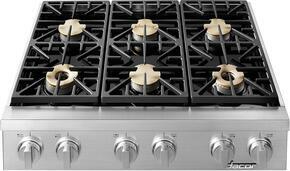 Lingering smoke and odors will be the least of your worries when cooking up a storm. 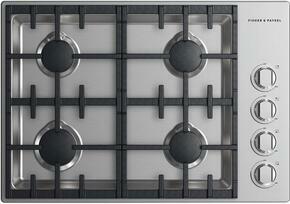 Exclusive gas cooktops are equipped with a downdraft venting system, eliminating the need of a range hood. 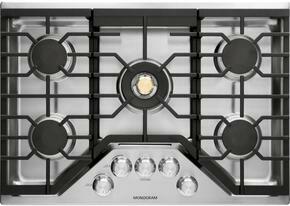 Explore trusted brands including Jenn-Air, Thermador, Wolf, and more. Choose from graphite stainless steel, black stainless steel, stainless steel, black, white, bisque, blue, chrome, green, orange, purple, red, silver, slate, and yellow finishes to create a kitchen that's truly your own. 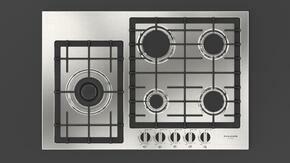 Selected Exterior Width Options: 27"